Coast 2 Coast Garage Door is the Top Rated Local® residential and commercial garage door repair and installation company in Broward County. From minor repairs to complete installations, we do it all! Keep reading below to learn more about our services, and get in touch with our garage door technicians by calling 954-703-5787 or by filling out our online contact form at the bottom of this page. There’s nothing more frustrating than a garage door that won’t work the way it should. Whether your garage door is making strange noises whenever it opens, or it has stopped working entirely, the professionals from Coast 2 Coast Garage Door will diagnose the issue and get to work repairing it immediately. It’s important to call a professional garage door repair company, as attempting to perform repairs on your own can put your personal safety at risk. We can perform garage door repairs for a variety of different brands and models, so don’t hesitate to give us a call! If your garage door is broken beyond the point of repair, or it’s several decades old and could stand to be replaced, let our technicians come to your home or business to perform a full garage door installation. We’ll work quickly to minimize the disruption to your household or business. We know that you’ll love the final results. In fact, our garage door installations come with an industry-leading satisfaction guarantee! 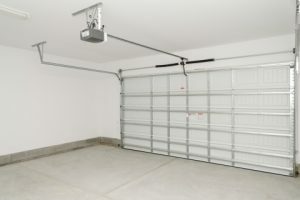 You use your garage door frequently throughout the year, so make sure that it’s working at maximum efficiency by investing in preventative maintenance. It doesn’t matter if you have a residential garage or a commercial loading dock — our technicians will perform an inspection and diagnose any issues that could become problematic in the future. We’ll perform any necessary repairs and provide you with the peace of mind you deserve!